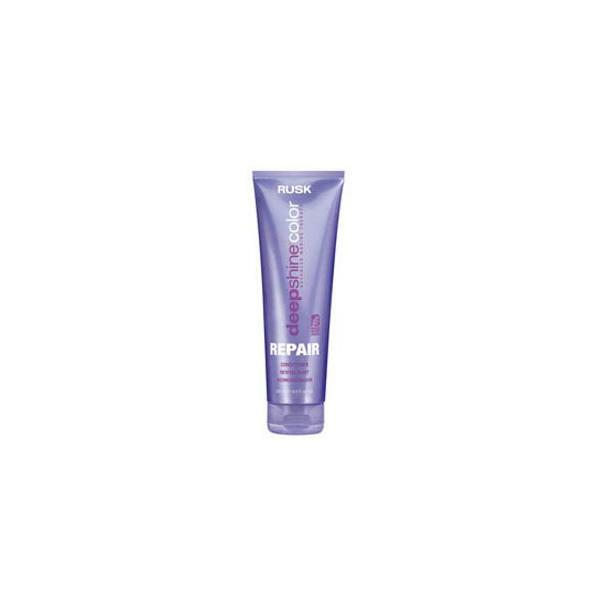 Style Source Magazine | Deepshine Color Repair Conditioner 8.5 oz. 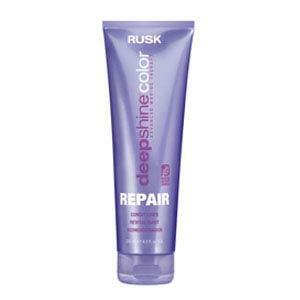 Home /	Brands / Rusk Deepshine Color / Deepshine Color Repair Conditioner 8.5 oz. Deepshine Color Repair Conditioner 8.5 oz. Deepshine Color Repair Conditioner gently detangles while restoring strength and improving hair condition. Leaves hair soft and nourished with a healthy shine. Contains nourishing marine botanicals and a patented UV-absorbing technology that help shield hair color against damaging sun-generated free radicals, a leading cause of accelerated hair color fadage. Deepshine Color Repair Sulfate-Free Shampoo 8.5 oz.